Congratulations, Melanie! You’ve won a copy of SABOTAGED! Thank you all for visiting and participating in the giveaway! Growing up, goody-two-shoes Kirra Jacobs and troublemaker Reef McKenna were always at odds. Now paired together on Yancey’s search-and-rescue canine unit, they begin to put aside old arguments as they come to see each other in a different light. Then a call comes in from the Iditarod that will push them to their limits. 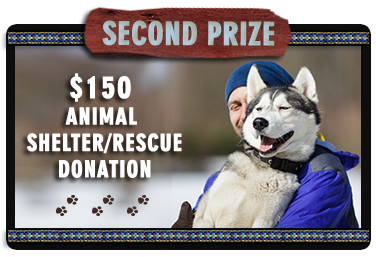 Kirra’s uncle, a musher in the race, has disappeared. Kirra and Reef quickly track the man, but what they discover is harrowing. Frank’s daughter has been kidnapped. In order to save her, the man must use his knowledge as a mechanical engineer to do the kidnapper’s bidding or she will die. Kirra and Reef, along with the entire McKenna family, are thrown into a race to stop a shadowy villain who is not only threatening a girl’s life, but appears willing to unleash one of the largest disasters Alaska has ever seen. I had such mixed emotions as I began this book! I was anxious to read Reef’s story, but I was also reluctant to let go of the McKenna family. I am happy to say that Sabotaged is an exciting conclusion to an exciting series! The drama quickly unfolds in the icy tundra of Alaska. As mushers race to the finish in the Iditarod, Reef McKenna and Kirra Jacobs find themselves in a race against time. The danger continues to escalate in this page-turning suspense and the twists and turns will leave you breathless. I loved the uniqueness of this storyline, the spiritual threads that run throughout, and the tender romance that developed. Sabotaged is a compelling story that kept me guessing and I enjoyed every minute of the adventure! 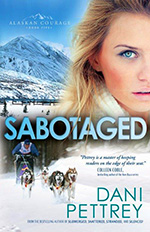 Sabotaged is the fifth and final book in Dani Pettrey’s acclaimed Alaskan Courage series. While each book in the series can stand on its own, I encourage you to read them in order to better understand the characters and their stories. If you are a fan of romantic suspense, this is a series I think you will love! I received a complimentary copy of this book. All thoughts expressed in this review are my own and no monetary compensation was received. Dani Pettrey and Bethany House Publishers have generously offered a copy of Sabotaged to be given away to one lucky reader! To enter, please leave a comment, including your email address. This giveaway is open to US residents only and ends Sunday, February 22 at 11:59 p.m. CST. The winner will be drawn and announced on Monday, February 23. Good luck!! 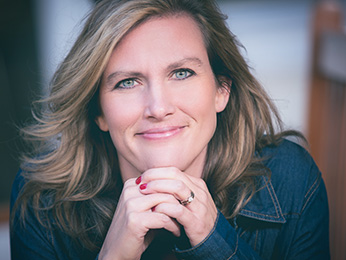 Dani Pettrey is a wife, home-schooling mom, and the acclaimed author of the romantic suspense series Alaskan Courage, which includes her bestselling novels Submerged, Shattered, Stranded, Silenced, and her latest release, Sabotaged. She feels blessed to write inspirational romantic suspense because it incorporates so many things she loves–the thrill of adventure, nail biting suspense, the deepening of her characters’ faith, and plenty of romance. She and her husband reside in Maryland, where they enjoy time with their daughters, son-in-law, and super-adorable grandson. This giveaway starts February 2, 2015 and ends February 22, 2015 @ 11:59 pm (PST). Entry is open to US residents only, age 18 and over. Winners will be selected Monday, February 23, 2015, and announced at DaniPettrey.com. 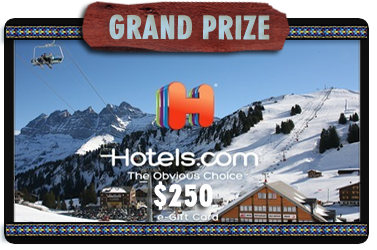 Our Grand Prize winner will receive: A $250 gift certificate to Hotels.com, good for reservations at lodges and hotels across the Continental US, Alaska, Hawaii, and numerous International locations. 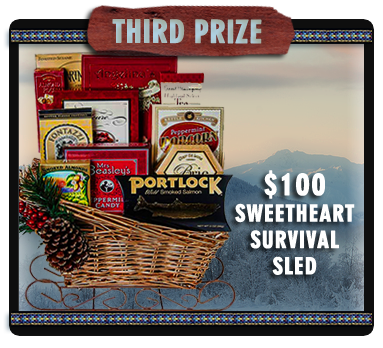 Our Third Prize winner will receive: A $100 value sweetheart survival pack. This gift basket includes double chocolate raspberry cake, smoked salmon, brie cheese and crackers, and a wide variety of gourmet snacks.